Ribbon reflects my love of materials and needlework. 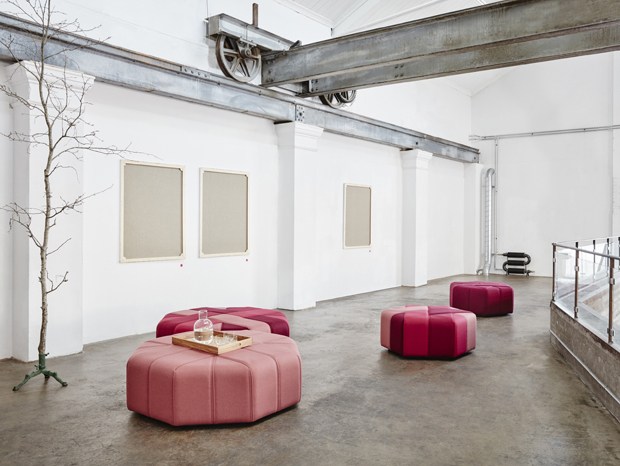 The pouffes have fixed, braided upholstery with the textile laminated onto a stronger material to give a three-dimensional feel. 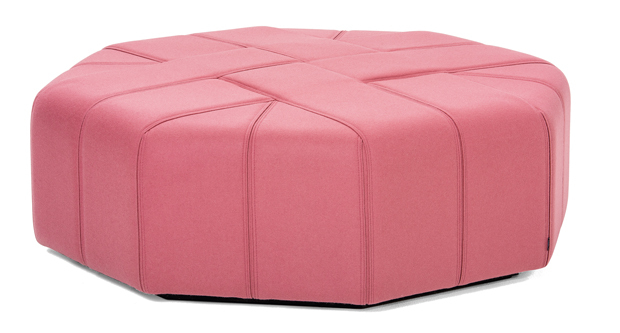 Ribbon is available in two sizes and the braiding’s pattern differs depending on whether the pouffe’s shape is hexagonal or octagonal. All sides have the same dimensions, which means that they can be linked together and combined into new shapes. Available in one-coloured or mixed felt fabric, monochrome or a four-coloured alternative.